French: Pyréneste gros-bec; German: Karmesinastrild; Spanish: Pinzón Casca Nueces Rojo. 5.1-5.5 in (13-14 cm). Sexes differ slightly. Males have a red head, nape, breast, and flanks. Females lack red on the flanks and are duller on the nape and breast. Juveniles lack red except on the rump and tail. Prefers wet habitats including marsh, flooded rice fields, swamps, and undergrowth near water. This shy species is found in pairs or small groups. The call is a sharp "zeet," while the song is described as a melodious warble, sometimes given during flight. Feeds on or near the ground. Their diet is poorly understood, but, based in part on bill morphology, is presumed to be mostly seeds, especially those with hard coverings. Three to four white eggs are incubated for 16 days. 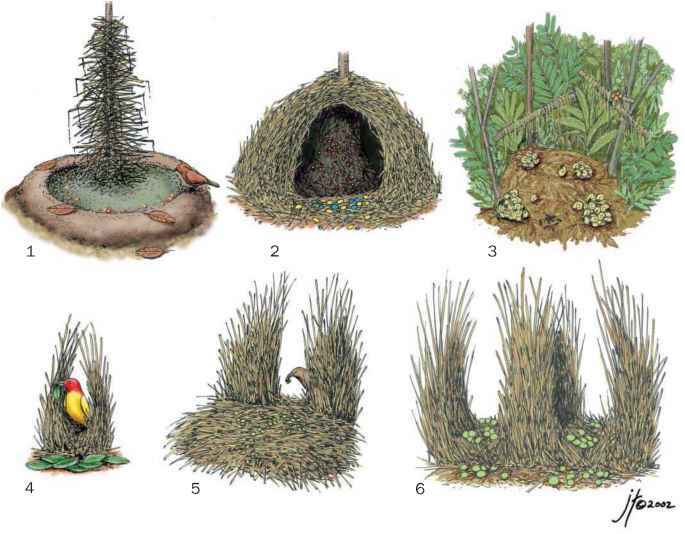 The few nests described were composed mostly of reeds.